Police said at least six people, including four children, were killed in Kenya’s port city of Mombasa on Monday after a hospital wall collapsed under a heavy rain. “Among the dead are four children aged between five and 15, and their mother. The other is a man who is a local businessman,” said Lucas Ogara, a police chief in the city. 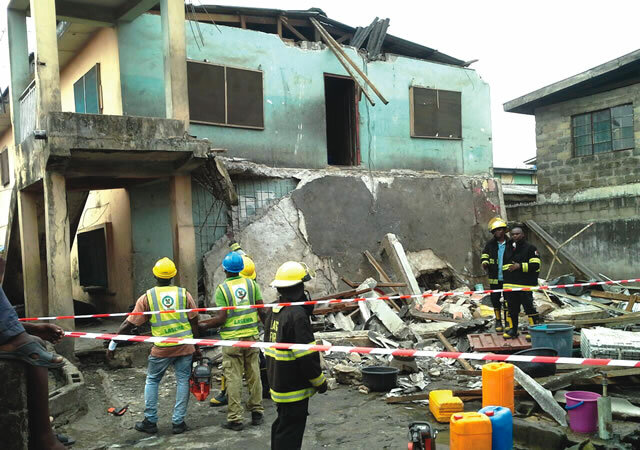 The six who died were inside neighbouring houses which were crushed as the wall fell. Red Cross officials dug through muddy rubble amid the rainfall for possible remaining survivors, witnesses said. The downpour caused the main highway linking Mombasa to the northern tourist hubs of Malindi and Lamu to be closed after floods submerged a bridge near a town along the highway. Kenya has struggled to find homes for its fast-growing population, and developers often put up buildings to cater for the soaring demand in violation of construction codes. Last year, at least 51 people died after a multi-story building collapsed in the capital Nairobi’s Huruma district. The six-story structure had been built near a river and collapsed after heavy rain. People were living in the building despite authorities having condemned it as unsafe.